Ralph Montague is a Managing Partner at ArcDox, Coordinator of the CitA BIM Group, and Chairman of the RIAI Practice Sub-Committee on BIM. Ralph’s background is in architecture and project management. He trained in South Africa and worked as an architect in both London and South Africa before moving to Ireland in 2000. He worked as an architect, project leader and associate, on a broad range of large-scale projects. 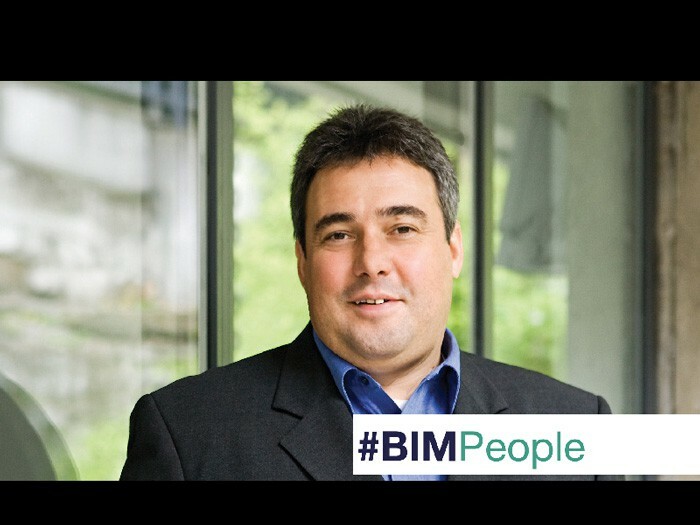 In 2009, together with Pat Slattery, he set up ArcDox, as Ireland’s first dedicated BIM consultancy practice. Ralph talked to BIMIreland.ie about BIM in Ireland, ArcDox, and his work with CitA and the RIAI. Please tell us how you got interested in BIM? In 2008 I carried out research as to what others were doing regarding BIM globally, and began to realize that this approach was now becoming mature and more mainstream. This is where we began to see the opportunity to begin to specialize in this area, because we realized that the majority of people in construction in Ireland still had no idea about what BIM was, and how to apply this to their projects. Could you tell us about your work at ArcDox and what the company’s main activities are? We started ArcDox with the purpose of being the “experts” that people, companies and project teams, could call upon, to help them use BIM on their projects. We provide 4 distinct services – consultancy, production resources, support and training. On the training side we became an Autodesk Authorized Training and Certification Centre in 2010, and while there are a number of other centres in Ireland, they are predominantly linked to software re-sellers. What makes ArcDox different is that our training is delivered by people who are working with BIM on projects every day. Could you tell us about ArcDox and its staff? ArcDox has developed over the past 7 years, from the original 2 partners, to a team of 12 people, which in itself is a great success story, if you consider the economic recession we experienced. 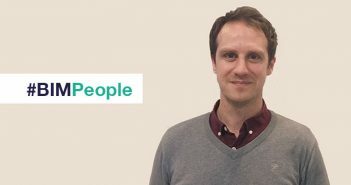 We have a fantastic team of people, all of whom share our enthusiasm for BIM, and share our commitment to help people, companies and project teams, to solve real problems by leveraging technologies. All of our staff are qualified architects, technologists or construction management professionals. All of our staff are Autodesk Certified Revit Professionals. 5 of our staff are Autodesk Authorized Trainers. We are committed to ongoing research and development, and encourage staff to spend a portion of their working week finding out about new and better ways of doing things, for to bring this knowledge and expertise to our clients. We are committed to the ongoing professional development of staff, and send staff to top quality international events to continue to develop their expertise. Has ArcDox any upcoming BIM projects or events in Ireland or abroad you could you tell us about? ArcDox are currently involved in a good number of high profile projects in Ireland, either as BIM consultants to the clients, or sub-consultants to design teams or contractors, or providing production services or resources to these projects, or simply providing training and support to companies involved on these projects. Over the last 7 years we have been directly involved in some way in over 70 BIM projects. We are involved in some projects in the UK as well, but mainly through Irish companies we work with. Even if our involvement has not been direct, you’ll find that our work with the RIAI and CitA has probably had some influence on the projects. Could you describe the CitA BIM Regional Hubs, and your work with CitA? We presented a session on BIM to the CitA network in 2010, and after that the director of CitA, Alan Hore, ask me to set up a special interest group, which we called the CitA BIM Group. Our early goal was to try and engage the various institutes and stakeholders in Ireland in the conversation around BIM, so that CitA could become a “neutral meeting place” for sharing ideas, but also for sharing the research effort and dissemination of information across all the disciplines and sectors. We set up a LinkedIn Group to engage people in discussions. It has attracted over 6,000 members, with many international contributors and followers. CitA has hosted some great information breakfast meetings, and a number of internationally acclaimed conferences, as well as great collection of academic and industry papers. I believe we have achieved the goal over the last 5 years for CitA to be the “go-to” place for anything related to BIM in Ireland. Further confirmation and recognition of the work we have been doing, was received when CitA was invited by the CIC UK BIM Regions group, to become honorary members of their network. We now have champions that have establishes CitA BIM Regional hubs in the East, West and South of Ireland. What were the standout moments of the CitA BIM Gathering 2015? The highlight for me was having people that I would call my “BIM Heroes”, people like Kimon Onuma, Bill East, Leon van Berlo, Arto Kiviniemi, etc., coming to Dublin. They have “walked-the-walk” and have a broad long-term vision of where BIM is going. It was great to have input from friends and colleagues from the UK, like David Philp and John Eynon etc. The quality of papers and presentations from people and companies were really “up there” with the best of them. However, we are only scratching the surface. We need to think about how to scale the adoption of BIM across the general sector, and need to get greater numbers involved in BIM. Could you tell us about the RIAI Practice Committee on BIM, and your work there? We’ve always has great support from the RIAI over the years, as far back as 2009, when we were starting our business. I was asked to join the practice committee in 2011 and set up a special BIM sub-committee. With the dedicated effort of a number of representatives from key practices, our committee has made great strides in bringing the BIM message to the profession, getting support from organisations like CitA, and software vendors, but also in providing practical tools, like the RIAI BIM EIR and BEP Templates, to help make things easier for architects. We’ve managed to get buy-in from Council level to the adoption of standards like PAS1192-2. Have there been any problems with regards BIM adoption among RIAI members? In general, the adoption of BIM by architects has been slow, mainly because there has been very little work over the recent years of recession, to support the investment required, but also because clients have not been requesting BIM. However, the major practices, that are working in the UK or abroad, or working on the increasing number of large scale projects in Ireland that do require BIM, have been adopting the tools and processes. There is an investment required, in hardware, software, training, and time for people to upskill. While the efficiencies of BIM would apply to all scale of projects, you do need enough turnover of projects to get the return on investment. What are your main observations of professionals who are upskilling on BIM training courses? I think too many people are focused on the software tools, and are not spending enough time to understand the impact on processes and standards. Obviously you need to know how to use the tools, but if you approach BIM with a “drafting mentality” i.e. just another way to produce traditional 2D outputs, it can be very frustrating. We need more senior directors, project managers and project leaders, to understand that BIM is not something you add to a traditional approach, but it is an alternative approach, where professionals’ productive and intellectual input goes into building the virtual building, rather than producing multiple disconnected documents. I see a real problem, where the experienced professionals are becoming “digitally disconnected” from the information production process, and are leaving it to young inexperienced graduates, to develop BIM, while at the same time trying to impose traditional delivery workflows based on a “drafting mentality” onto these people. BIM training is a very broad subject, and needs to be targeted at all levels, not just at the production staff. It needs to include process, standards and software. Will BIM affect the duties and responsibilities of the professions? At BIM Level 2 maturity, as defined by the UK BIM Task group, there is very little change to the roles, duties and responsibilities of the stakeholders. Everyone is still required to carry out their traditional roles, but just doing it in a new way though 3D data-rich object based modelling, rather than manual drafting. The responsibility, liability, ownership and copyright remains with the traditional party. Designers are still required to provide design intent information, and contractors are still required to provide fabrication information. It just has to be done through BIM rather than CAD. Could we see some significant “disruption” of the traditional professions? Quite possibly, particularly if they are slow to change. How do you see the Irish construction industry changing in the next decade? As they say, “the only consistent thing is change”. Change is happening, it has always been happening. While some companies are waiting for a government mandate, or a specific client request, others are just getting on with the change. They see it’s necessary, they understand the benefit, and they don’t need an outside party to tell them what to do. I’ve been involved in a number of industry groups in the UK and Europe, and I can tell you there are Irish companies who are up there with the best. But they are not the norm. They are leaders and innovators. We’ve been privileged to be part of this exciting change that is already happening, and will continue to happen. The industry will become digitized – it is unavoidable. 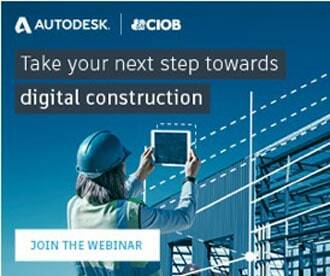 How do you see BIM consultancy and training developing in the next decade? There is a huge demand for upskilling. Over the last 6 years we’ve trained about 1,000 people, but there are over 150,000 people involved in construction in Ireland. We haven’t even “scratched the surface”, and we are one of a very few number of companies doing this. And think about all the existing buildings that exist out there, with lost information or locked in out-dated paper documents. And then think about all the people involved in managing and operating buildings, and how they will have to be upskilled. The world needs many more BIM experts. Are you satisfied with the quality of BIM education and research in Ireland? The technical institutes have all more or less embraced BIM, but the universities have been slower to embrace the digital reality of our future. The people who presented papers at the recent CitA BIM Gathering would be the “leading lights” in Ireland, and should be followed. What have the CitA Regional Hubs planned for 2016? The objective to the BIM Regions network, is to try and reach the industry “at scale” with the message and information about BIM. While the recent CitA BIM Gathering was very successful, and we had some of the world’s top BIM experts come to Ireland to speak, there are many people in construction who still haven’t heard about what BIM is. They do not know what benefits it would bring them.